Jess S. Morgan & Company, Inc. is a full service business management firm founded in 1967. The Company acts as a personal “CFO” for its clients, employing specialized professionals in all areas. The Company together with the client’s attorney, agent, personal manager, and other outside professionals plan and manage both the client’s business and personal financial affairs. Business management includes a full range of financial services including: financial planning, accounting, insurance, intellectual properties, and real estate. The Company employs individuals with expertise in each of these areas, and by doing so creates a sense of security for the client. By entrusting their financial concerns to Jess S. Morgan & Company, Inc., the artist, athlete, professional, foundation or entrepreneur can focus on career, family, charity, and leisure. We have the knowledge and expertise to effectively address every aspect of our client’s insurance needs, including coverage placement, claims submission, and audits and appraisals. We maintain an active network of major insurance companies and agency relationships worldwide that assist us in navigating the complex legislative, financial, and social issues that influence insurance decisions. As an independent, uncommissioned advisor, we provide the client with appropriate, competitive recommendations to satisfy diverse insurance needs. We can manage all aspects of our client’s investment and residential real estate, including purchases, sales, construction, financing, and property management. We work closely with a variety of related industry professionals to address all real estate needs. We provide services ranging from identifying real estate investment opportunities to actively managing rental property to negotiating the most favorable refinance terms available. The Company provides comprehensive financial planning and accounting services to its clients. These services range from budgets and fair market value statements, to estate planning reviews, and bill paying. The Company manages both client receipts and expenses, which allows the business management team to provide monthly financial statements to each client. This service frees the client from the hassles of managing the minutiae of their daily financial affairs. This deep knowledge of the client’s financial picture allows the management team to provide fully informed advice on any financial decision that a client may need to make. The principals at Jess S. Morgan & Company, Inc. have provided trustee and executor services for over forty years. The principals who engage in trustee work have full certification in all the relevant jurisdictions. Jess S. Morgan & Company, Inc. prides itself on the long relationships it has fostered with its clients. These relationships, some of which have spanned decades, enable the principals to form a deep understanding of our client base. This makes Jess S. Morgan & Company, Inc. the natural choice for trusts and estates. Tax planning and compliance are key elements of effective business management. With significant changes in our tax laws occurring on a regular basis, tax planning is essential to providing sound guidance on business and investment decisions. The Company provides the technical support required to comply with the tax law while taking advantage of all available tax-saving strategies. The Company maintains a working relationship with accountants and attorneys throughout the world having expertise in all areas of income and estate taxation. 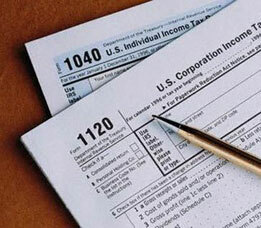 Jess S. Morgan & Company handles all tax compliance. This includes the preparation and filing of individual income tax returns including: quarterly estimated taxes, estate, gift, trust and employment tax returns, as well as compliance for clients with corporations, partnerships or private foundations. The Company handles all communications and meetings with IRS and state tax agencies ranging from routine notices and office audits, to comprehensive examinations. For most individuals, taxes represent the single largest category of expense. The Company’s comprehensive approach to business management promotes coordinated tax planning involving all aspects of a client’s financial landscape. Business and financial transactions are structured to minimize taxes, while meeting the client’s objectives. Working with a network of professionals, the Company has formulated and implemented successful estate and income tax plans for its clients. The Real Estate Department actively searches for investment opportunities with the goal of selecting and acquiring properties which meet the client’s investment criteria. Investments in raw land, commercial, industrial and residential rental properties are recommended on an individual basis; while joint ventures are formed for client participation in the purchase of larger properties. The Department monitors client real estate portfolios to assure current investment needs are met, and regularly reviews market conditions to determine the optimum time to acquire or divest. Leasing, rent collection, setting of appropriate rental rates, and compliance with government regulations, including rent control. Coordinating routine maintenance and necessary repairs and improvements. When a client buys or sells a personal residence the Department assists in the selection of an independent real estate agent, analyzes the property, and recommends a purchase or sale price. Working with the client and the attorney, if applicable, the Department supervises the transaction, and reviews all documents from original listing or purchase agreement to final escrow closing. The Department continually monitors both the cost and types of financing available, and regularly reviews clients’ existing loans in order to refinance at the most opportune time. Working with banks, loan brokers, and other financing sources, the Department obtains the most favorable interest rates and terms available. The Department will also manage the escrow process, including loan applications, appraisals, inspections, and final loan documents.